As you all are very much aware by now, we’re pretty big on South London and we’re not afraid to say it. It’s unquestionably the most relevant part of the capital with the most interesting places, monuments and people. Today we’re going to dive into an area that could reasonably lay claim to be the ‘capital’ of South London (although Brixton, Greenwich & Lewisham would also have a solid case). 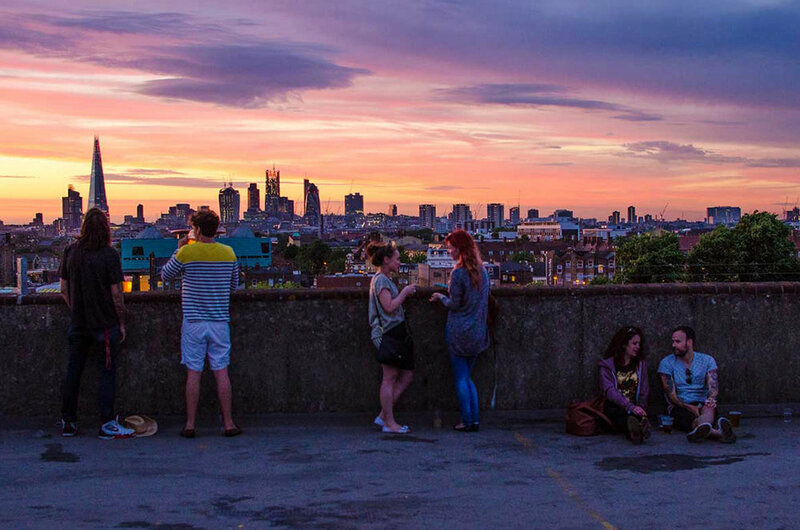 Peckham may have suffered from an unfair reputation in the past, but today the town is a vibrant and elegant place to spend your day. Peckham was a hamlet of the parish of Camberwell, located about a mile to Camberwell’s east on the road to New Cross. Now, there is some argument as to the meaning of the name ‘Peckham’ and how it came about. As we mentioned in a previous article, the area was called 'Pecheham' in the Domesday Book (1086), which became 'Pekkham' by 1361, the name is Old English and translates as a 'homestead by a peak or hill', the hill in question likely being Telegraph Hill. On the other hand, some state the name means ‘the place of the river Peck’, a small stream that runs through the area. Peckham became popular as a wealthy residential area by the 16th century and by the 18th century the area was a more commercial centre that engrossed industrialists who wanted to steer clear of paying the high-priced rent in central London. Peckham also possessed extensive market gardens growing produce, such as figs and melons for the local markets of London. Until the early 19th century, Peckham was largely a rural area; however vast development later in the century sparked major change. In the mid 19th century a new district called ‘Peckham New Town was built’ on land owned by the Hill family, centred on Peckham Hill Street; the family also gave its name to the area’s main axis, Peckham Hill Road. Furthermore, the rise of public transport proved to be the catalyst for increased development with railways being fundamental alongside the introduction of horse-drawn trams. This encouraged much building of a more modest scale in almost any open space. With the Rye also threatened with development. The increase in accessibility created an influx of young affluent residents, which had a positive knock on effect. Rye Lane became a major shopping street. As mentioned above, Peckham still has a bad reputation that lingers and this can be traced back to the 1970’s when high unemployment and a lack of economic opportunities for residence led to the areas decline with areas In Peckham being one of the most deprived in Western Europe. An increase in gang activity as well as the death of ten year old Damilola Taylor in 2000 also contributed to Peckham’s unfortunate reputation. In recent times, Peckham seems to of turned a corner thanks to multi-million pound regeneration. The often undesired gentrification of London has finally seeped South and has made Peckham a highly sought-after location in London. Rye Lane is still a major part of the community, which is busy nearly all times of the day. You can read up on the history of Rye Lane in our previous article and we also mentioned it on our ‘7 Legendary High Streets of South London’ blog.